Now writer Jenny Nimmo returns with The Chronicles of the Red King, which tells the historical tale of the original ancestor. 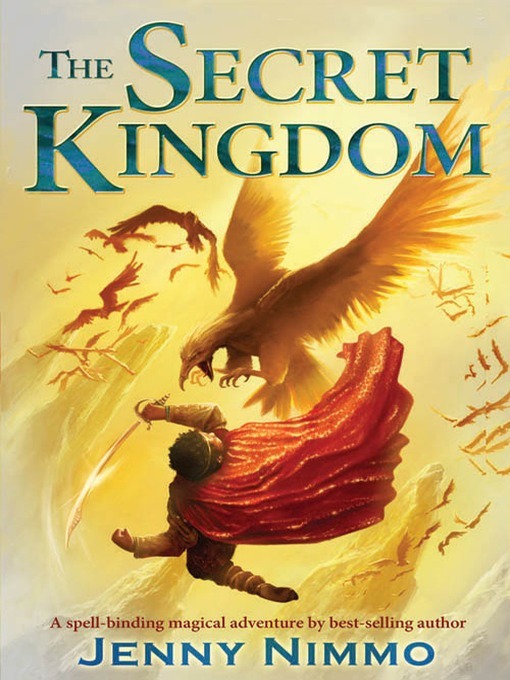 I’m happy to say that I found the writing more lively than Charlie Bone, and the characters of Timiken (the king in search of a kingdom that he can call home) and his sister, Zebaydah, and their camel, Gabar, (yep, a camel with attitude) are nicely done. I did enjoy most of all the story of where the magic comes from — in the guise of the last web spun by the last Moon Spider, woven with tears and rain and more, and given to Timoken by a small magical creature who gets destroyed by an army of evil creatures who want the moon cloak. I read this novel as a read-aloud with my youngest son who loved the story. It was a quick read, just right for the holiday season.Clearly, Nimmo has further plans for the series (this is book one) and while I don’t think it is the best book I read this year, it was decent, and I can see my son and I following the series in between larger books (we’re reading Summerland right now by Michael Chabon … it’s wonderful). Hmmm. Charlie Bne does well in my library, so I’ll have to take a look. interesting that you like Summerland- I finally deaccessioned it because all the students who checked it out brought it back before finishing it!